The cost of high-quality early childcare is higher than the average cost of tuition at most public colleges. Childcare experts like Ramey believe the biggest brain development happens in the first few years of a child's life, so high quality early childcare is essential. But high quality early education is not cheap - whether it’s home-based or center based. One childcare center I visited in Ann Arbor - Gretchen's House - has received high marks from the state in terms of its quality, and parents spend $1,635 a month to send their children there. To put it in perspective: that’s more than the cost of tuition at most public colleges. Parents from low-income families are unlikely to be able to afford that. But Ramey says children from poor families are exactly who are at risk for developmental delays and school failure are exactly the ones who need this kind of high quality early childcare education. "Far and away early childhood education is the most powerful instrument we have to prepare people to lead productive lives," says researcher Craig T. Ramey. Ramey is the author of a landmark study from the 1970s called the Abecedarian Project. Lots of early childhood education studies up to that point focused on the impact preschool had on disadvantaged kids, like the Perry Preschool Project. But Ramey wanted to see what impact earlier intervention could have. Specifically, he wanted to know: "Could we alter their developmental trajectory?" So Ramey and his colleagues enrolled in the study around 100 high-risk infants from North Carolina, and divided them into two groups. Both groups received the same amount of social services, but only one group of infants was enrolled in a full-time, year round early childhood education center. Infants were enrolled in the center as early as six weeks old. 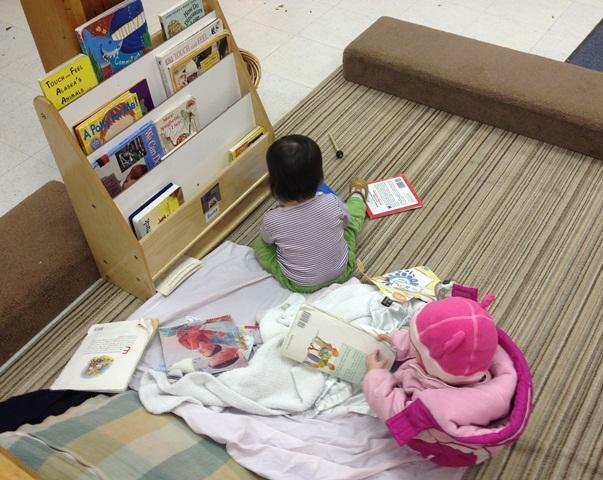 The curriculum started out pretty basic – showing toys and pictures to the babies. As they children grew, the curriculum grew more advanced, with an emphasis on language development. Researchers could see a measurable difference in skills as early as eight months. By the time the children entered kindergarten, the two groups were far apart developmentally. "The kids who received the [0-5] treatment continued all the way through elementary, junior high and high school to perform very near national average," Ramey explains. "The children in the controlled condition performed around the 15th percentile or a little bit lower typically." And the benefits can still be seen 30 years later. There is a free, federally funded early childcare program for kids in poverty up to age three. It’s called Early Head Start, but there are not nearly enough spots open for everyone who’s eligible. The Center for Michigan says roughly 40 percent of Michigan four-year olds who are eligible for free preschool don’t attend "because of inadequate state funding, logistical hurdles and inconsistent coordination of services." That means tens of thousands of at-risk children in Michigan miss out on up to five years of high quality early childhood development and education, and they end up playing catch-up the rest of their days. "If we don’t change some things pretty drastically, we have a country that’s headed toward a cliff," warns Ramey. "The landing off that cliff is going to leave a lot of damage and part of that damage could be our participatory democracy." The cost for the year round, high quality early education like the one used in the Abecedarian Project is roughly $12,000 - $15,000 per child per year. But compared to the cost of special education, incarceration, teen pregnancy and other costs associated with poverty, Ramey and others would argue the initial investment more than pays for itself.